Like most little boys, my 2 are pretty obsessed with all things Star Wars. 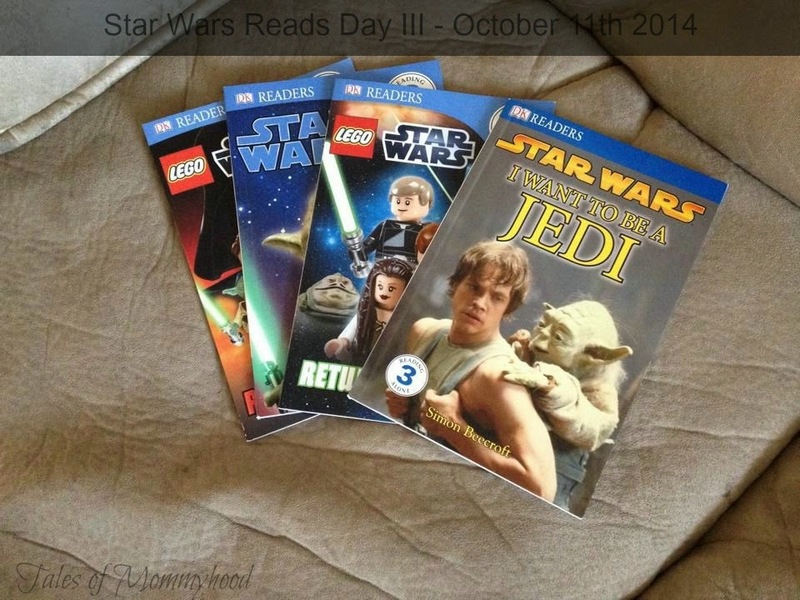 October 11th is Star Wars Reads Day III and DK Canada can help - they have an entire boutique with different Star Wars books. We were sent some Level 3 readers, and the boys have really been enjoying them. We sit down as a family and read through them. Mr. K is just learning his alphabet, so he likes to hunt for all the K's on the pages. Mr. J is doing great with learning to read, and the Star Wars books have such different names in them, that it really makes him think. There are events happening throughout the country to celebrate - is there one near you? :) I hope he enjoys them!